Vienna just before the Second World War is the setting for this story of two boys, one Jewish, one ‘Aryan’. Karl sees his mother taken away, his father having already died because of his resistance to the Nazis. His first thought is to go to his friend Emil who has not been in school for a while, because he is Jewish. 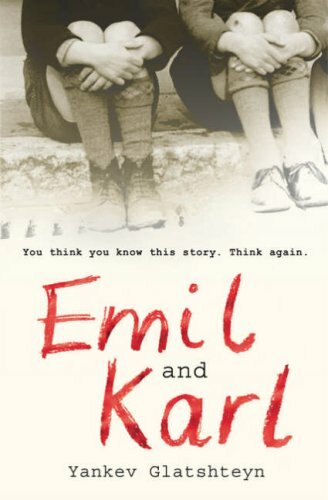 The two boys are left alone after Emil’s mother breaks down, and are taken in by various people in Vienna, the last being part of the underground resistance movement. The story ends with the boys’ separation at the moment of being sent to freedom in England but with hope for them both. Glatshteyn wrote this in 1940 but there is a freshness about the writing and an immediacy about the story with its message about freedom and friendship that is remarkable. The boys are resilient in the midst of the horror and able to recognise hope in their frightening world. This is a contemporary story although for today’s children it will read as an historical novel. Beautifully translated by Jeffrey Shandler it remains a mystery why it has not been re-issued since 1940. There are not so many historical novels about life under the Nazis; Hans Peter Richter’s chilling trilogy is the most well known of those but this story has the warmth and accessibility which that work lacks. It makes the Nazis’ world that more real although still difficult to comprehend.